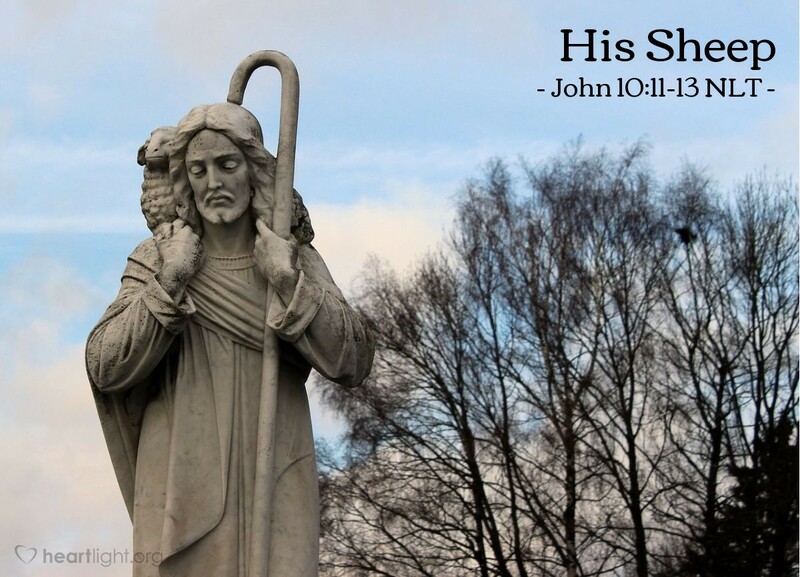 [Jesus said,] "I am the good shepherd. The good shepherd sacrifices his life for the sheep. A hired hand will run when he sees a wolf coming. He will abandon the sheep because they don't belong to him and he isn't their shepherd. And so the wolf attacks them and scatters the flock. The hired hand runs away because he's working only for the money and doesn't really care about the sheep." Will God run? Yes, he will run to meet us when we return to him from rebellion! Will Jesus run? No, he will not run away from us when we are in danger or face hardships and attacks. They both love us intensely and want us safe and home with them and will do anything and everything we will let them do to make sure that happens. Don't let the evil one make you doubt God's love. Human shepherds are fallible and will sometimes stumble, fall, and let us down. Our heavenly shepherd, however, will not fail us, will seek and find us, and has already paid the horrible price required to ransom us from sin, death, and destruction. O Father, may I never ever outlive my love for you. May I never doubt your love and steadfast care. In Jesus' name. Amen.